Put simply, Auditory Processing is “What we do with what we hear”. If there is a breakdown in either hearing or listening, processing will be affected. 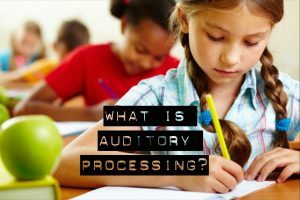 A true auditory processing disorder refers to a primary difficulty with the processing of auditory information. Focusing attention on a particular task whilst ignoring others (for example focusing on what the teacher is saying whilst effectively ignoring distractions such as other children talking or environmental noises). Focusing on two types of information presented at the same time (for example multi-tasking in the classroom including Look, Listen and Do, such as write, touch, etc, at the same time). The ability to retain and recall information. The ability to temporarily retain information in order to work through it. In the classroom Auditory Processing difficulties can present as difficulty paying attention, poor listening skills, trouble remembering spoken information and carrying out complex multi-step instructions, delayed response when providing answers, restricted pre-reading skills such as identifying sounds in words and poor reading and spelling skills. 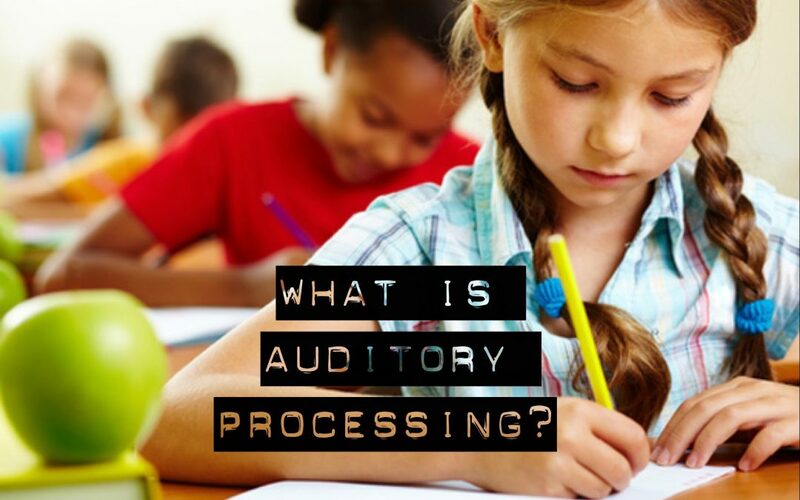 There are many facets to auditory processing so a thorough assessment is important. Sometimes this includes one professional but often requires a combination of a Speech Pathologist, Audiologist and Psychologist. Depending on the results, recommendations are made for the classroom and a program to target specific skills are put in place.